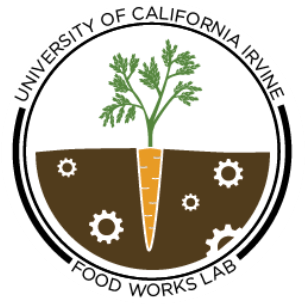 I am the Founding Director of The Food Works Lab at UCI which explores issues related to food production, consumption, security, and recovery to understand how to bring about a closed loop food system that is more localized, accessible, nutritious, and resilient. Through interdisciplinary applied research, the Lab seeks to cultivate the collaborative relationships that can serve as the foundation for a systems-approach to solving our biggest food challenges. Household Food Waste: If you Build it, Will they Separate? 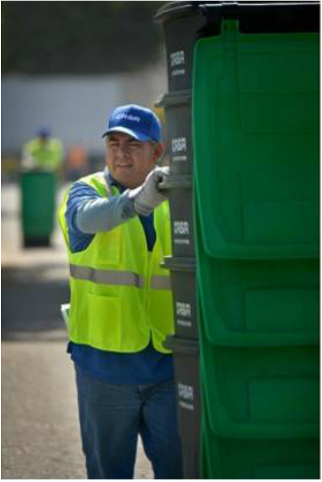 I collaborated with the Costa Mesa Sanitary District to conduct a longitudinal repeated-measure field experiment to examine how households are affected by new curbside organics collection programs and whether social innovations informed by social psychology effectively improve participation. The Natural Experiment indicated that after receiving the curbside bin, participants significantly increased food scrap separation behavior, support of the OCP program, and the belief that separating food waste is the right thing to do. The Intervention Experiment indicated that the treatment group receiving norm communication significantly increased these variables compared to the control group. Importantly, the treatment group participants were also less likely to quit separating food waste if they were receiving descriptive norms about community participation. -hosting a workshop on Cultivating Food Research Community at UCI. 3) Empower advocate scholars on food issues. 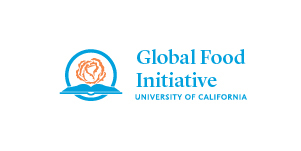 This project was supported by the UC Global Food Initiative Fellowship. Visit the University of California Office of the President website for more information. 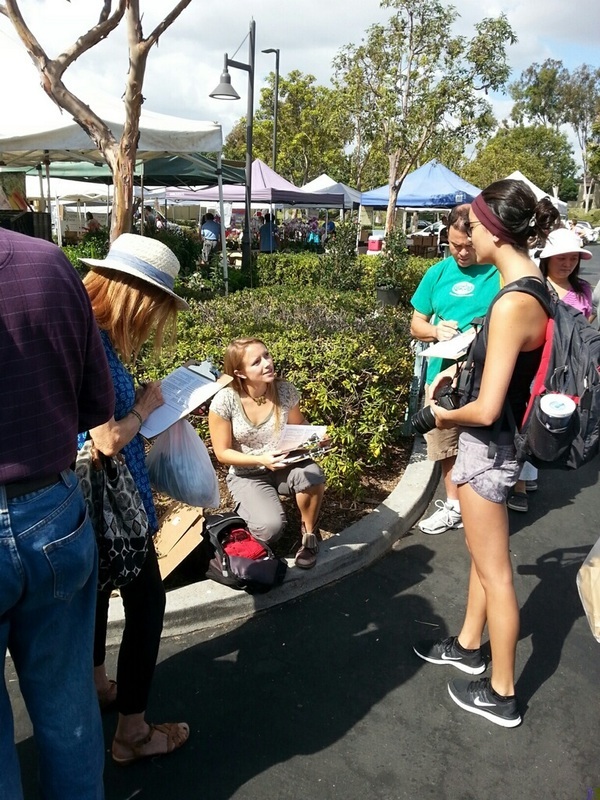 Collecting Market-Goer Surveys at the original location of the Irvine Saturday Farmer's Market. A) A Public Forum engaging community members, and leadership in the university, farmer's market, and new market hosts on the impacts of and opportunities in the relocation of the farmer's market. B) Conduct and Analyze a Market-Goer Survey before and after the relocation of the Irvine Farmer's Market. C) A Workshop creating an intimate space for contributing to the growing food discourse to understand the relationship between UCI food research and communities. Participants from across disciplines, including Informatics, Public Health, Criminology, Earth System Sciences, Anthropology, and Medicine, engaged in an edible marsh tour at the UCI Arboretum and learned about one of the country's largest aquaponics systems. New community drop bins for food waste were installed at two locations in the housing community. More than half a ton of food waste is still collected every month from households in the study. The inaugural project of the Food Works Lab sought to expand food scrap separation to on-campus apartment communities and explored the intersection of household behavior and pro-environmental infrastructure. In my capacity as Director of the Food Works Lab, I initiated a partnership between the Lab, UCI Facilities, and the Verano Housing Office to offer household organics recovery in the Verano Place Graduate Housing Community. Together, the collaborative recruited 30 households and established two community drop bins for the collection of household food scraps. Participants completed surveys on their environmental attitudes, knowledge, and behavior related to food purchasing, consumption, donation, and disposal before and after the pilot. They also tracked their separation behavior over the course of the 8 week pilot, and many participated in in-depth interviews with me The results suggest that simply participating in food scrap separation in the home may yield increased awareness about food and other kinds of waste, and the potential for spillover pro-environmental behavior. The pilot yielded both exceptional landfill diversion gains (over half a ton of food waste per month) and, importantly, insight into how residents adapt to and experience food scrap separation in their home. The collaborative was able to identify cost-effective ways to double the number of community drop bins while incorporating critical lessons learned from the pilot. I have also compiled a synopsis in a journal article currently under review that includes Best Practices to be used in other apartment communities on campuses across the state and in cities as they develop curbside organics collection programs.